I would like to welcome you to "El Paso's Musicians (Past and Present)" My intent with this site is to bring information about musicians I have known in El Paso from the 60's to present day. 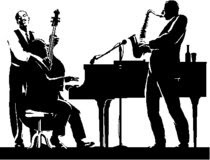 Many of the musicians that you will be reading about were either in groups that I played in while living in El Paso, as well as, the ones that I befriended all throughout high school and college. 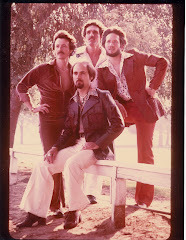 I graduated from UTEP in 1972 and in 1973 my wife and I left El Paso with a vocal show group called The Sounds Royale. The group started out with Sam Stephenson (guitar-vocals), Gayle Hageman (bass-vocals), Tedd McKeever (keyboards-vocals), Debbie Wilson (flute-vocals) and myself, Rick Kern (drums-vocals) The group was based out of Newport Beach, CA. We performed at mainly Orange County venues such as The Disneyland Hotel, Charley Browns in Huntington Beach, The Newporter Inn, Del Webb's Townhouse and the San Francisco Hyatt Regency. Today these musicians are scattered all over the place. Sam is living in Houston, Tx. and serves as the Dir. of Safety for Union Pacific Railroad. Gayle and his wife live in El Paso where he is a self-employed entertainer. Tedd is still performing jazz in Bremerton, WA. We are still trying to find Debbie. I am sure she is warming many hearts out there somewhere with her fabulous voice. 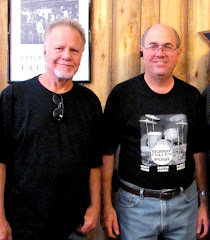 There was an additional bass/sax/vocalist by the name of Wayne Mills that played with the group. He is still living in Orange County, CA. and is retired. I moved back to El Paso with my wife to be with our respective families and to start our own family. Both of our kids, Ricky (25) and Nicole (23) are musicians both living in Austin. Nicole plays electric cello with an Austin band called Alex Dupree and the TrapDoor Band. 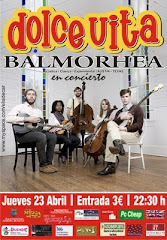 She is also playing with a popular Austin band called "Balmorhea". Both of our kids went to UT Austin. Ricky graduated in May, 2007 and Nicole graduated in May, 2008. They both love photography and film. The YouTube videos on this site were produced by my son to show our capability to show videos of performers on this site. He also did my colorful splash page that you see when you first log on to the site. This is a promo for Ron's group "Southwest"
that was produced in the 90's. Same here If anone got any poster so please let me know. "Music has always been my first love" On May 15, 2010, 2:00 p.m.,I will be speaking at the Hubbard Museum in Ruidoso, N.M. - "Southwestern Sounds & Musical Influences: from El Paso to Clovis" Click my image to take you to the museum site for more information. Where are the new posts? 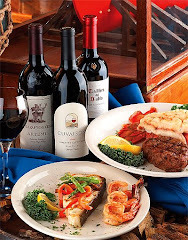 Ardovino's Desert Crossing presents "An Evening With The Cruisers" Sept. 13, 2014. Call for reservations: 575-589-0653. Please go to FaceBook and type in El Paso Scottish Rite Theater or www.elpasoscottishrite.org for additional information and details. 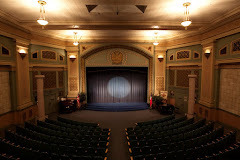 Tickets can be purchased at All That Music & Video, at the Scottish Rite Temple and on line at http://www.elpasoscottishrite.org/. Come join us at the 8th Annual Border Legends of El Paso Rock Concert, Oct. 15, 2016. There will be various 50's Diner choices for optional costs. Beer, wine, sodas and set ups will be available. Doors open at 3:00 pm with the concert starting at 4:00 pm. Seating is first come first served. Tickets are currently available at the El Maida Shrine Auditorium at 6331 Alabama, All That Music & Video, Collectibles at Lomaland & Mesa, Sharon's Hallmark, the Headstand. Tickets can also be purchased at the door the day of the show. 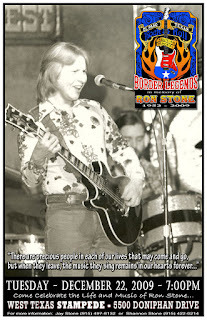 For additional information go to http://www.borderlegends.net. Click on the picture to see the Trailer to "It's What I Do"
Entertaining Audiences For over 30 Years! Want To Know More? 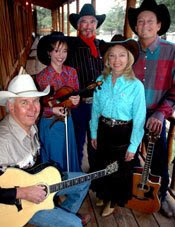 "Click On A Hat To Enter Our Site"
There's Great Live Music In Ruidoso, N.M. Contact Rick Kern for booking information - (915) 820-8002. 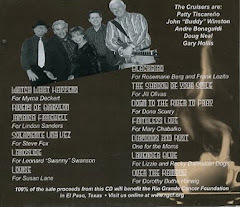 The proceeds from their latest CD benefits the Rio Grande Cancer Foundation. My wife and I have been attending UTEP Dinner Shows for many years. We have also hosted many Lions Club Socials at the UDT and everyone always say the same thing after the show. 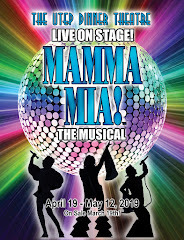 "It just doesn't get much better than this" El Paso and it's university is truly blessed to have this caliber of theater at an affordable price. The production staff and performers are simply Top Flight! Would You Like To Contribute To Our Quest? 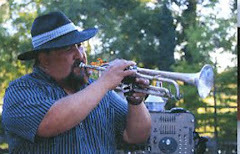 Featuring Billy Townes & Steve Marquez on Wednesday nights - 7:00 p.m. 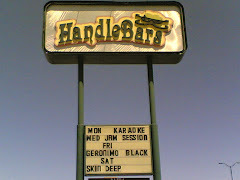 Welcome to one of El Paso's hot spots for live entertainment. us out. There's great food, great music and a whole lot of fun! I began playing drums and singing at age 11. I studied vocal music from grade school through college. There were numerous groups that I played with while living in El Paso - The Masters of War, The Sacred Mushroom, The Westhampton Barge, The Basic Sound,and Macadamia were the well known groups. In 1972, upon graduating from UTEP, my wife and I began our travelling on the road. 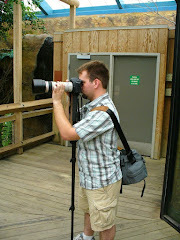 You can read about those experiences in posts on the site. We moved back to El Paso and had two kids, Ricky and Nicole. They are both musicians(viola and cello). 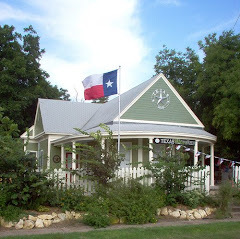 Nicole plays in two popular bands in Austin, Texas - Alex Dupree and the Trap Door Band. The other one is Balmorhea. I continued my singing for two years with The Bruce Nehring Consort. My wife and I love all types of music and attend just about everything that comes to El Paso. We stay in contact with many of our musician friends and are looking forward to hearing from more on this site. The Basic Sound - 1968 (Bobby Fuller Four's Jim Reese) "Last Date"
Sounds Royale - May, 1974 (Cassette Recording) - Charley Browns in Huntington Beach, CA. Dan Evans, Rick Kern, Danny Miller, Jerry Johnson - Rick's last group on the road. 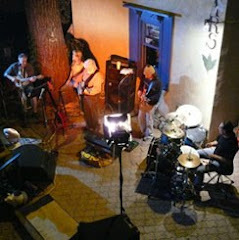 "Springfire" El Paso"s oldest comedy show band - and still going strong! Sebastian Felix - 14 year old student at Eastwood High School.